Anti-Social Behaviour: Behaviour to cause harassment, alarm or distress to anyone within the Spa, including other guests, will be asked to leave the premises immediately. Spa service charges will still apply if asked to leave. If the spa’s staff members feel threatened in any way, the Police, Tourist or Local, will be called immediately to handle the situation. Mobile Phones: Guests are asked to refrain from speaking on mobile phones within the Spa. Smoking: Not permitted within any of the Spa’s building confines or adjoining walkways. You may smoke at the outdoor lounge where an astray is provided. Please be considerate of others while doing so. Advance bookings: Highly recommended to ensure your preferred time and treatment are available and to avoid disappointment. Arrive early: Must arrive at least 15 minutes before your appointment. Each guest needs to fill in a Guest Information Form and for us to review any existing health conditions or contraindications you may have. Late for appointment or transportation: Call us immediately if you know you are going to be late. We may rearrange our schedule provided that it does not inconvenience other guests. Post-Treatment: Leave yourself 15 to 20 minutes after each appointment to enjoy some of our complimentary refreshments. If you have any time constraints, such as a restaurant or tour reservation, please let us know in advance so we can arrange accordingly. “Notice” means a spa representative such as a Receptionist or a Reservations Officer has acknowledged you by speaking to you on the phone or responding to your email. Email Notice: Accepted as notice only at the time of response to your email. If you send an email during closing hours, 22:00 to 10:00, a response cannot be made until we open the following morning. Phone Notice: Accepted as notice immediately when answered by a representative from the Spa. If you call during closing hours, 22:00 to 10:00, notice has not been made since acknowledgement has not been made. Example: If you have an appointment start between 10:00 to 16:00, you must provide notice before the Spa CLOSES the previous day to ensure you have provided more than 6 hours notice to avoid any charges. No-Shows: This will incur a 100% charge. 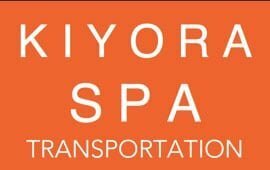 If you are late to your appointment due to the Spa’s transportation service, then you will still be given the full service time, regardless of your booked time slot. If you are late to your appointment or pick-up due to your own actions, then your services will be shortened and will finish according to your booked time slot. We may rearrange our schedule provided that it does not inconvenience other guests. Hotel or Guesthouse Pick-ups: We provide pick-ups from Hotels or Guesthouses ONLY. We normally schedule a 10-minute pick-up window from your place of residence. Public Location Pick-ups: We DO NOT provide pick-ups from public locations, such as restaurants, shopping centres or other tourist attractions, due to the difficulty of locating guests in large and crowded places. Pick-ups Outside our FREE Transport Zone: We can help organize transportation for an additional fee, which will depend on distance from the spa. Airport Pick-ups: We DO NOT provide pick-ups from the Airport due to the nature of Airport Arrivals and the tight schedules our drivers have to keep. General Drop-offs: Our Front Desk staff will let you know once our transport is ready for you. Airport Drop-offs: Take advantage of our FREE Airport Drop-Off (Conditions Apply). Domestic Flights: Allow at least 2.5 hours from spa finish time to departure time. Online check-in recommended to avoid missing your flight. International Flights: Allow at least 3 hours from spa finish time to departure time. Online check-in recommended to avoid missing your flight. Health: Please let us know of any health conditions, allergies or injuries, which may affect your Spa experience. We will ask for this information through our Guest Information Form that needs to be filled-in by each guest when checking into the Spa. Service Refusal: The Spa has the right to refuse any of its Spa services for health reasons, injuries and poor hygiene. Pregnancy: We offer a Prenatal Massage and a Prenatal Spa Package for women within Week 14 and Week 30 of pregnancy. Booking in advance is essential so we can assign a specialised massage therapist who may not be available at any given time. You must seek professional advice from your Doctor and obtain written permission prior to booking online or by phone. Massage: Ask us for more information on our Prenatal Massage (1.5 hours) or Prenatal Spa Package (2 hours). Body Wraps: Not allowed due to the extensive heat that your body cannot get rid of, which can be dangerous to your baby. Body Scrubs: Allowed, using a special scrub blend for pregnancy (Coconut & Vanilla Scrub, using sugar as an exfoliator, no essential oil used). Our Prenatal Spa Package contains a Body Scrub component, which will require lying on your back for a short period causing discomfort to some. Facials: Allowed, however, requires lying on your back for the whole duration, which may cause discomfort to some. Attendance: To preserve the tranquillity of the spa and for the enjoyment of all of our guests, children under the age of 12 years are to be supervised at all times. Supervision: Children must stay in the same treatment room or suite when guardians are receiving their spa treatment. If there is a guardian to supervise the children who is not having a spa treatment, then they are more than welcome to enjoy our outdoor lounge while waiting. Spa Services: We have had many children enjoy some of our spa services. Let us know if you would be interested for your child to have a spa treatment so that we can recommend an appropriate service for your child. Showering Before Spa Treatment: Any additional time above the 10 minutes provided will cut into your treatment time so the next booking is not affected. This also gives our staff time to refresh the room and have adequate rest between treatments. Showering After Spa Treatment: It is recommended that you let your skin absorb the aromatherapy oil blends used to help detox the body. Our base oil contains jojoba oil, sweet almond oil, grape seed oil, coconut oil and Vitamin E.
If a shower is required, please be very considerate of time as this may affect the spa’s overall scheduling, including our Drivers’ Job Schedule, Therapists’ Job Schedule and Appointment Book. If an unreasonable time has been taken which has caused the next guest to wait, then an additional fee will be charged. Credit Cards: Accepted, subject to surcharge. PayPal: Available upon request or when booking online. Valuables: A valuables box, with lock and key, is provided for each guest. It is the responsibility of each guest to ensure all valuables are collected after their spa treatment. The Spa will not be held responsible for any forgotten or misplaced items.